Members from the community are encouraged to attend this event as well as alumni, current college students and high school seniors. Central Arizona Regional Transit (CART) has agreed to provide free transportation to the Job Fair for people that reside in Florence, Coolidge and Casa Grande. In order to ride the bus, tell the driver you are going to the Job Fair. 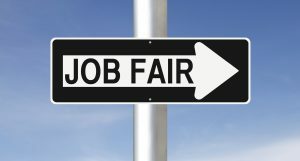 Be sure to obtain a bus pass at the Job Fair for the return trip on the bus. To view the bus schedule, pick up locations and times visit the City of Coolidge website at http://www.coolidgeaz.com. There is still time for exhibitor’s to register for the expo. The general exhibitor fee is $60, while the fee for government and nonprofit organizations is $45. Space is limited for this event and will be assigned on a first-come, first-serve basis. The last day to register as an exhibitor is April 8 at noon.